President Barack Obama will nominate New York prosecutor Loretta Lynch to succeed Eric Holder as the nation’s attorney general, CNN’s Evan Perez reports. 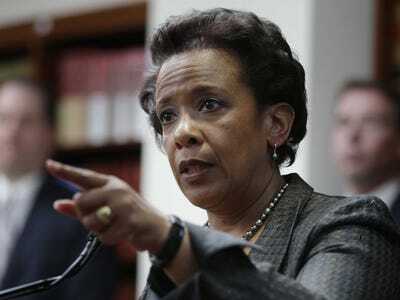 Lynch is the top federal prosecutor in Brooklyn, in a district that serves more than 8 million people. She is the US Attorney in New York’s eastern district, a post to which she was appointed by Obama in 2010. If appointed, she would be the second woman and second African-American to hold the position of attorney general. She would be the first African-American woman to hold the position. Holder announced plans to step down in late September. White House officials had said Obama would wait until after the midterm elections to appoint Holder’s replacement. Lynch only emerged in recent days as a top candidate. Many progressive and Latino advocates had been pressing him to nominate current Secretary of Labour Tom Perez to the position. Other candidates floated included US Solicitor General Donald Verrilli, California Attorney General Kamala Harris, former White House counsel Kathryn Ruemmler, Massachusetts Gov. Deval Patrick, and Preet Bharara, the U.S. attorney for the Southern District of New York.